Sites powered by newer versions of WordPress have the REST API enabled by default. In this tutorial, we will use React to pull the latest posts from such sites and render them as articles with a summary. If you are interested in the end result, you can view the codepen below (it might take a few seconds to load). The video tutorial is here. Beware, it’s a 40-minute long video because I have not excluded any errors from it. You will see my mistakes and how I fix them. Reading the tutorial might get you there faster since it’s error-free. If you want to add React to your existing plugin (or theme), you can check out this guide: https://reactjs.org/docs/add-react-to-an-existing-app.html. I also have a tutorial on Configuring Webpack in WordPress for the First Time. You can use that configuration and just add React and ReactDOM. 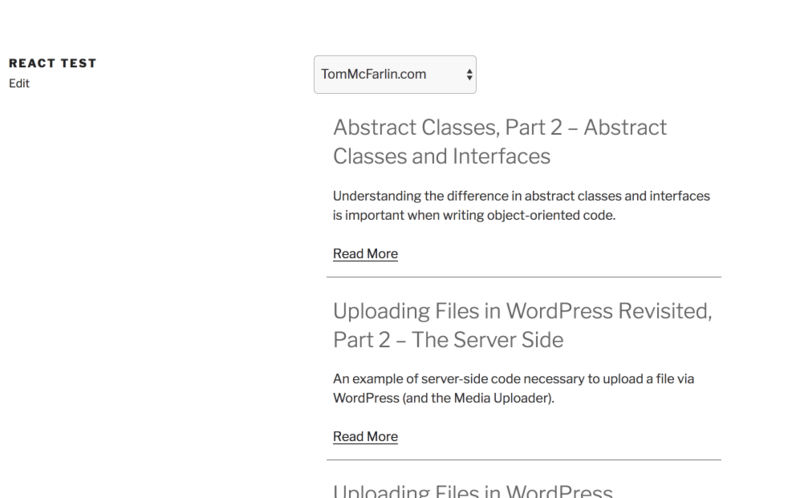 First, we are creating a class, in the same way as you would extend a class in PHP. This is a part of ES6 so you would need Babel to compile it. The render method is used to display the content of our React app (HTML). We are assigning our App class to const element. We are using const because element will never change (or at least it should not). If we try to change it somewhere in the code, an error will let us know about that. We are then passing the element into ReactDOM and appending it to #app. Now that we have our App started, we need to populate it. The first thing will be to create a simple select with sites as options. Each option value will be a direct link to the site’s REST API output. The select will be rendered inside the App render method. We are also wrapping it with div because we will have another element inside. In the render method, only one parent element can be there, so we are using div to wrap all the child elements. With the current code, we would get an error that WPSitesSelector is not defined. So let’s do just that. It might seem a bit confusing but just by reading the comments in the code, you should get the basic idea of what is happening here. Such as with any other method, we can also put some functional code inside the render method. First, we are defining const data (this might also be let if you decide to add new data to it). All the data will be converted into options. We are then using the data and with the function map we are returning React Elements and building an array of JSX elements. Once we are done with that, we are displaying that inside the select. When getting data from external sites, we need to store that data somewhere. We will use the React State to save them. The first thing we did is a constructor method. It is similar to the __construct method in PHP. This will prepare our component with everything it needs to function correctly. The function super in PHP would be parent::__construct(). By sending props, we will have access to this.props. In our root class, we could just go by calling super() since we are not accessing the properties. The next thing we are doing is binding the method getPosts to this. That way, the newly defined method will have access to the entire object through this. The last thing we do is to set the initial state by putting an empty array of posts in it. Our method getPosts is our fetch method. If we provide an URL, we will try to fetch the data from it. You could go with jQuery AJAX here, but we are using fetch. You can learn more on how to use it here. Fetch won’t return the fetched value but a Promise (learn more about it here). When working with promises, we need to use the method then() to continue the work with the retrieved data. The syntax I am using is the Arrow functions. The neat thing about them is that I can access this directly. In the example above with normal functions, I had to define self so I can access the object. 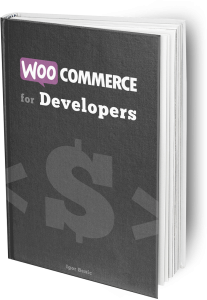 We are passing this method getPosts as a property to our component WPSitesSelector. That way, we will be able to access it through properties and call it. By passing the URL in that method, the root method will be called and the state will change. That is also known as Inverse Data Flow. Before we get any data from the URLs, we need to listen to the change event on the select. So, how can we do that? We will have to enable the properties and also listen to the onChange event. 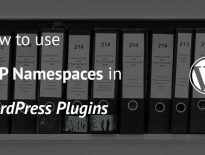 Let’s enhance our component WPSitesSelector. Again, we are using the same approach to enable access to properties. We have also defined a new method handleChange. Since this method will need access to properties, it needs access to this. That is why we are binding it in the constructor method. In the method handleChange we are calling the passed method from our root as the property getPostsOnChange and we are passing the selected value to it (the URL). For everything to work, we had to define which method to call when the onChange event occurs. That is done through JSX in the render method. Until now, we have defined how to retrieve the data and how to listen to the change event. The last thing we need to do is to render the retrieved data. 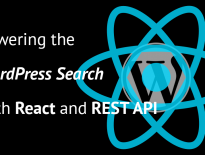 First, we will define a React component that will be used to render the list of articles. Each article will also be another React component. In our root component, we are also passing our posts from the state as a property to that component. Do you already know what we have to do? super to the rescue! 🙂 Let’s define our component now. Inside the render method we have defined let posts. This time we are not using const because we need to be able to change the value of the variable posts. We are checking posts passed as a property and if there is none, we are giving a message. If there are posts, then we are using the function map to create a list of WPPost components. 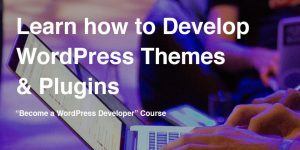 The last part of this tutorial is creating a component that will define how a post will look. Inside the WPSitePosts component, we are passing each post into its own component as a property. We will access the contents of a post through the properties. Inside the render method we are using the attribute dangerouslySetInnerHTML because we are getting the raw HTML. We need to encode the content and by that attribute we can. At first, just hearing React, JSX, ES6 etc can be a bit scary. It was to me too. But after you start writing it and reading the documentation, you will start getting it. The hello world examples are just fine to get you started. Remember, you won’t learn it until you try building something. So don’t be afraid to do something. Even if you’ll have to rewrite 90% of the code while working on it. Have you tried working with React? What were the struggles you had by learning it? Tell us in the comments below.